Meadow Road, Kettering. Image: Google. Two men attempted to rob wallets and phones in Meadow Road, Kettering last night (Thursday, November 29). The incident happened at about 8pm at the junction with Jutland Way. Two men were walking along the road when they were approached by two other men who threatened them and demanded they hand over their wallets and phones. One of the victims attempted to stop a passing vehicle and when it slowed down and stopped for a few seconds, the offenders turned and started to walk away. However, once the car had gone, they turned around and chased the two men across the adjacent playing field towards Northfield Avenue, only stopping when the victims arrived at Morrison’s petrol station where they called for help. The offenders then made off back towards Meadow Road. 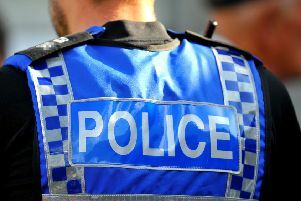 The offenders were both black males and were wearing dark clothing, including hooded tops with the hoods up and gloves. One of the men was about 6ft and to the other about 5ft 10in, both with a slim build. Information can also be provided anonymously to Crimestoppers on 0800 555111 quoting incident number 18000578758.